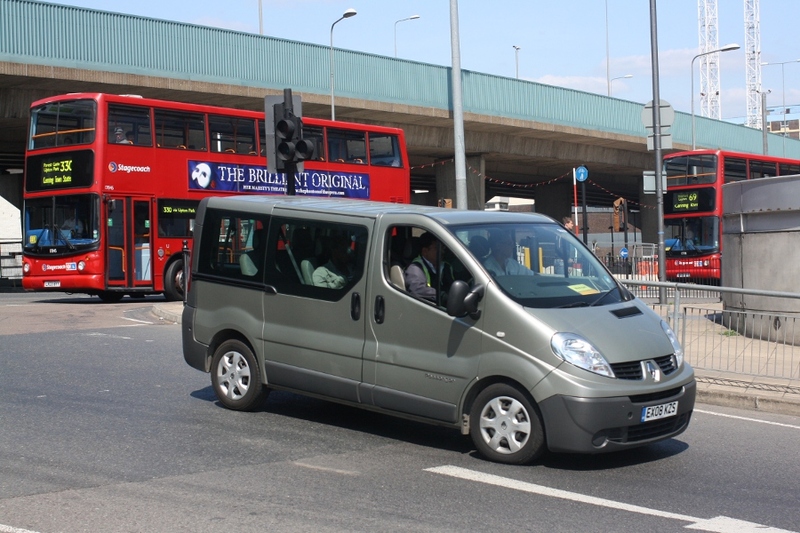 Details: The eleven Renault minibuses acquired by the East London Bus Group in 2008 continue to work mainly from West Ham Garage (with a couple at Rainham) under Stagecoach ownership. Most never had any lettering applied other than small fleetnumbers in the front and rear windows. The ninth of the batch to be illustrated on this site is EX08KZS (fleetnumber 96009), caught approaching Canning Town Bus Station on 21st May 2011.